A recent report in the Houston Chronicle relayed that renting might soon be the new trend, ahead of homeownership.The article points to the increasing number of foreclosures, which have been hampering the real estate market for years, as a major factor for many current and potential homebuyers. Those who have homes they can no longer afford are now looking to get out from under their mortgage debt and are looking to rent instead. Furthermore, those previously interested in buying are now being dissuaded by the continued struggles of the market, and are also opting to rent.”The stage is being set for very strong rent increases,” Stan Humphries, chief economist of Zillow, recently told members of the National Association of Real Estate Editors.The high number of foreclosures is affecting the rest of the real estate market, driving home values down. In addition, the national unemployment rate has not showed any significant gains recently. Thus, more Americans are now opting to rent for financial purposes.The Houston real estate market has experienced its own fluctuations recently, however, its sector is experiencing the same trend, as more residents are choosing to rent. 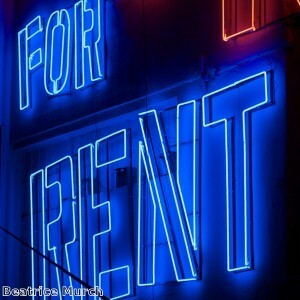 The average rent for Houston properties is $822 per month, which is expected to rise by 4.4 percent during 2011, according to recent data compiled by research firm Reis.Courtesy of 2M Realty News?